Christopher Ayres is well known in the anime convention community for his "Mock Combat for Cosplay" workshops. He has also been invited to conventions to talk about his role as Frieza in Dragon Ball Z and his directing work on anime titles such as Nerima Daikon Brothers, Beyond the Boundary, Another, and Bodacious Space Pirates. As of 2017, he has been a guest at 137 conventions. Unfortunately, Chris has been diagnosed with "End Stage C.O.P.D." and is facing a double lung transplant, multiple surgeries, and significant medical treatment. He's in need of financial help from the community. Anime Detour has established a YouCaring fund which will go to Chris to help pay for what will surely be overwhelming medical expenses. 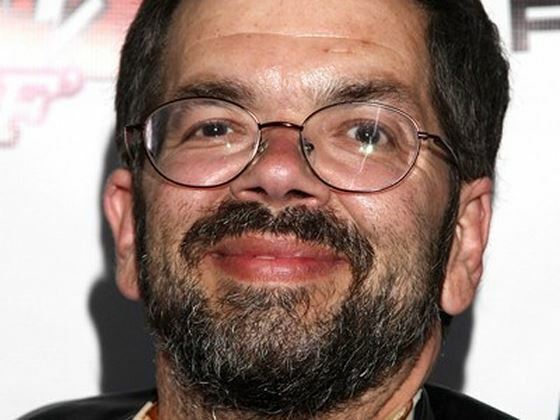 Earlier this year actor/director Christopher Ayres was rushed to a Houston hospital with complicated respiratory difficulties. A team of pulmonary doctors diagnosed Chris with "End Stage C.O.P.D. ", an irreversible illness that would require a double lung transplant in order for him to survive. He would spend the next three months in and out of hospitals and intensive care units for testing, therapy, and rehabilitation. In preparation for transplant, he learned that he would also need two additional surgeries (double bypass, and oral maxillofacial) before he can move forward with transplant. Chris is dependent on continuous flow oxygen during the day and a BIPAP breathing machine to reduce carbon levels in his lungs at night. Due to hospitalization, and rehabilitation Chris has not been able to work since March. In spite of being insured, the deductibles, and non covered expenses have been continuous, and are exhausting his and his family's resources. While it's hard to determine exactly how much assistance will be needed at this stage of the process, these costs have become a concern. Chris has been a long time friend to both the anime and convention community. known for roles such as Frieza in Dragon Ball Z in recent years, and has directed several well loved anime titles including; The Nerima Daikon Brothers, Beyond the Boundary, Another and Bodacious Space Pirates. Since he has always been a strong supporter of Anime Detour, and one of the first to grab the mic at it's charity auctions, we would like to begin what will be the first of probably many fundraisers across various platforms to help him with these expenses. We would appreciate any help you can give us as we try to help someone who has given so much to our community. Our AnimeCons TV podcast conducted an interview with Chris Ayres in 2010. As of this post, $2,097 has been raised by 61 donors. The fund has a $25,000 goal. We encourage anyone who has enjoyed Chris's work in anime or his convention programming to give what they can in his time of need. Let's show Chris that we want more of his love and laughter. Always.